On Sunday 2nd December four members of the Fusion team took part in the annual Santa Dash and Reindeer Run in Huddersfield organised by the Huddersfield Lions Club, to help raise funds for the Laura Crane Youth Cancer Trust and the Brtish Lung Foundation. This is the third year the team took to the streets of Huddersfield and despite the cold and the rain the team all managed to get round the course. 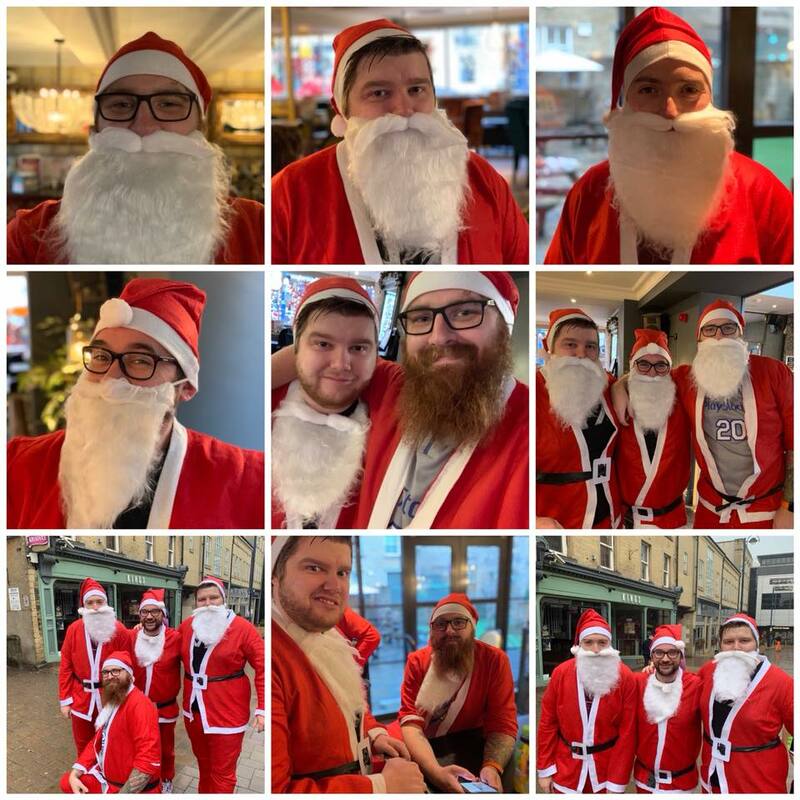 Well done to Jim, Matt, James and Andy for taking part and donning their Santa suits….they are already looking forward to next years run.